Throughout history, winemaking and liquor distilling has greatly evolved. The wines people know and drink in ancient times were very different from the modern beverages. This is a series profiling the Chinese lifestyle and the people’s way of eating and drinking through literary texts, from the four great classical novels to ancient recipe books. The verse is from warlord Cao Cao’s “Duange Xing,” a short song ballad. The exact creation background of the poem is unknown, but in the “Romance of Three Kingdoms,” a 14th-century novel with legendary and mythical elements by Luo Guanzhong, Cao composed the soul-stirring poem on a ship when he was en route to fight the Battle of Chibi against the allied forces of Sun Quan and Liu Bei after pacifying the north in Chapter 48. So, what is this Du Kang wine? Cao Cao writes in his famous poem “Duange Xing” that Dukang wine can clean away sorrow and it is believed that since Cao, Dukang has also been used as metonym for any good alcohol. The legend is also what inspired the creations of modern Dukang liquor labels from Shaanxi and Henan provinces. There are also other legends regarding the creation of wine in China, but the Du Kang tale was so popular that it became a cultural phenomenon. Chinese winemaking originated over 5,000 years ago from naturally fermented wine, and archeologists believe it thrived in the Longshan Culture (2500-2000 BC). In “Huangdi Neijing,” (“Inner Canon of the Yellow Emperor”) the ancient Chinese medical text the composition of which dates to between the late Warring States period (476-221 BC) and the Han Dynasty (206 BC-AD 220), there was a scene of the Yellow Emperor (a deity in Chinese religion who lived in 2717-2599 BC) discussing winemaking with doctor Qi Bo. The book also mentioned an ancient wine called lilao. Brewing wine with jiuqu (wine fermentation starter) is the real essence of Chinese winemaking. It’s used to produce both grain wines and distilled liquor, plus jiuniang, the sweet fermented glutinous rice that’s often eaten as a dessert soup. Jiuqu is the key in Chinese winemaking. 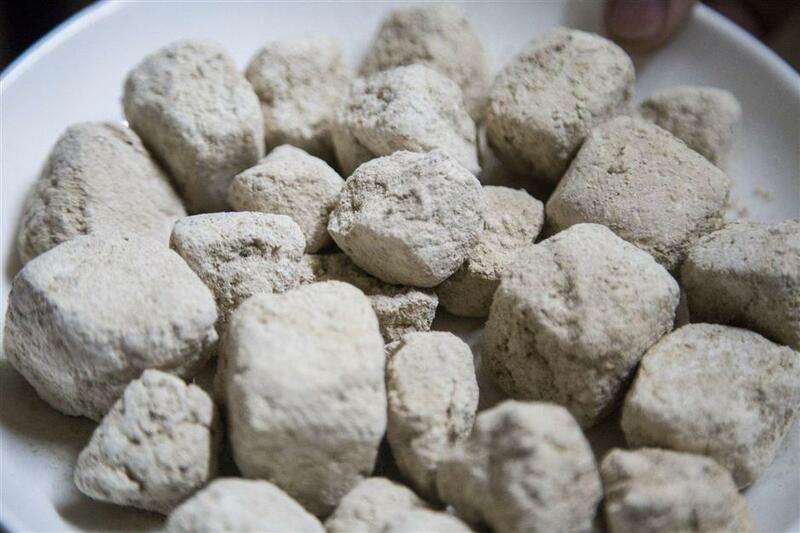 The mechanism of jiuqu is more complicated than distiller’s yeast. It’s a combination of different molds, yeasts and bacteria which is cultured on starch-rich grains such as wheat and rice. The function of jiuqu is to act as a source of microbes and enzymes to enable the fermentation process, breaking down the carbohydrates, proteins and lipids. To make jiuqu, the first step is to prepare cereal grains, then add microbiota and incubate the mixture in a warm and humid environment to stimulate its growth. Once complete, it’s dried for a longer preservation time. Today you can buy packaged jiuqu from the supermarket to make rice wine, jiuniang and more. The grains used to make jiuqu vary across China. They include wheat, barley and rice. There are different types of jiuqu in China, ranging from xiaoqu (small starter), daqu (large starter) to hongqu (red starter), which is the red rice cultured with red rice molds of the Monascus genus. Wine filtration techniques were lacking in ancient times, so the tiny granules of the white fermented mash couldn’t be filtered, resulting in a quite thick and cloudy wine color, hence the name zhuojiu, which translates into unstrained wine or liquor. 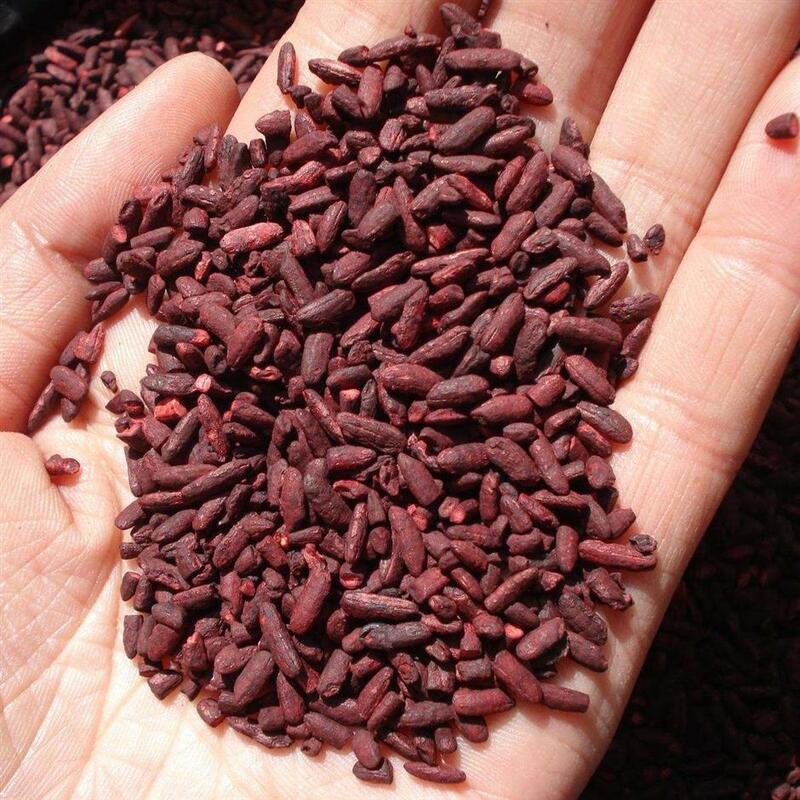 Hongqu, the red color rice cultured with red rice molds of the Monascus genus. The wine people drank in the Three Kingdoms period (AD 220-280) was zhuojiu, and it was a quite primitive form without the steaming or filtering processes. The alcohol content was less than 10 percent. There were also fruit wines, milk wines and even spice wines in the early dynasties, though they were not as popular as the grain wines. Huangjiu, or rice wine, took winemaking to a new level. The wine brewing technique with jiuqu was improved over time to achieve different flavors and textures, such as dry, semi-dry, semi-sweet and sweet according to the sugar content. Distilled liquor was introduced to China in the Yuan Dynasty (1271-1368) from Arabia. According to the “Ben Cao Gang Mu” (“Compendium of Materia Medica”) by Li Shizhen (1518-93), shaojiu, or distilled liquor, appeared in the Yuan Dynasty and it was made by distilling high density fermented wine and purifying the liquid. The reign of the Yuan Dynasty was short and the people didn’t develop the habit of drinking the stronger baijiu, or liquor. The distillation techniques of white liquor became mature gradually in the following two dynasties, Ming (1368-1644) and Qing (1644-1911), and the level of alcohol content also increased. Wine drinking is a crucial social activity in the “Romance of Three Kingdoms,” and it seems that the ancient people had an enormous level of alcohol tolerance — they didn’t drink by glass or shot, but by dou, which means bucket in Chinese or by bowl. It may sound frightening, but the weights and measures in ancient China were different from today. One liter in the Western Han Dynasty (206 BC-AD 24) was equivalent to only 0.3 liters today while the liter in the Eastern Han Dynasty (AD 25-220) was less than today’s 0.2 liters. The size of the bowl used to drink wine back then was also smaller than the average bowl today. They were more like small plates. The early Chinese wines had a much lower alcohol content as well. The fermented alcoholic drinks had less than 20 percent alcohol, as did the early baijiu. Drinking a whole lot of wine wasn’t comparable to today’s strong liquors with 40-60 percent alcohol content. The taste of the ancient wines and liquors were mild and not as spicy as modern baijiu, drinking bowls of wine was similar to drinking beer or rice wine today, which people can drink by bottle. The ancient people also spent a much longer time drinking, often through the whole night because there wasn’t much to do, so they drank larger quantities of wine over a longer timespan.